In 2013, China established a new world record in terms of installed solar energy capacity. It was the first time that the country had lead the world in solar power installations and the manufacture of photovoltaic products, but China is not satisfied with its accomplishments in the clean energy field. While the country currently accounts for a staggering 64% of global solar panel production, it is looking to find more success in this field in the coming years. According to data from GTM Research, China produced some 25,600 megawatts worth of solar panels in 2013. Half of the world’s top solar panel manufacturers are based in China and have been receiving strong support from the country’s government and an army of private investors. These companies have helped satisfy the demand for photovoltaic technology worldwide, but this demand is reaching new heights. As such, Chinese manufacturers are beginning to produce more, and China’s production of solar panels is beginning to accelerate. GTM Research predicts that China’s annual solar panel production will double by 2017, reading 51,000 megawatts worth of photovoltaic technology manufactured. 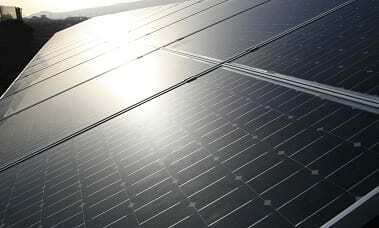 This will mean that China will represent 70% of the world’s solar panel production in less than two years. Production is accelerating in order to accommodate global demand, but domestic demand is just as important to the companies responsible for building photovoltaic systems. China has plans to reach 70,000 megawatts of installed solar energy capacity by the end of 2017, up from the 18,300 megawatts of capacity the country reached at the end of2013. China has a strong interest in solar power for various reasons. One of these reasons has to do with the country’s emissions reduction goals. Air pollution has become a major problem for the country’s largest cities and this pollution is being linked to serious health issues, such as lung cancer.